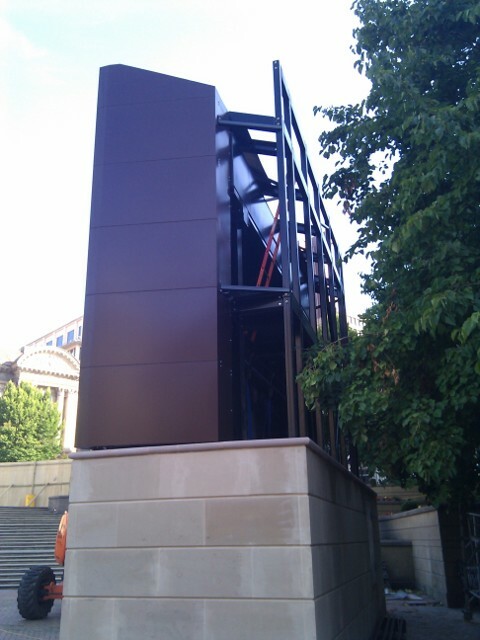 Details: Morris Fabrications Ltd were asked to supply and install all support steelwork, as well the cladded panels, doors and acoustic louvres for this exciting new project in Birmingham City Centre. 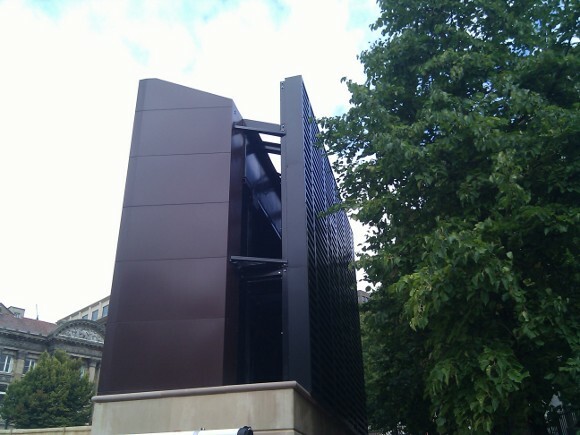 Working with the Council’s designers and engineers we had to closely follow the approved drawings and specifications, taking into consideration our work environment. 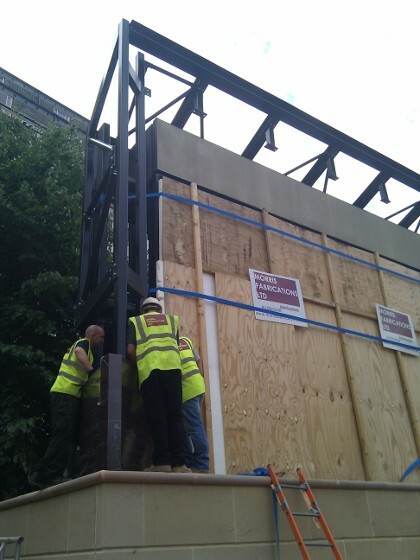 The support steelwork itself was mostly manufactured at our factory unit, but there was still an amount of on-site welding and fabrication to complete. 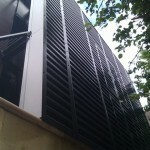 The acoustic louvres needed to meet specific noise standards. 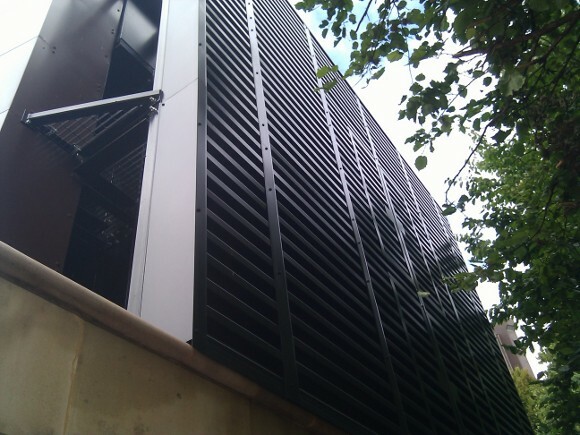 We worked closely with our louvre supplier to ensure all requirements were met. 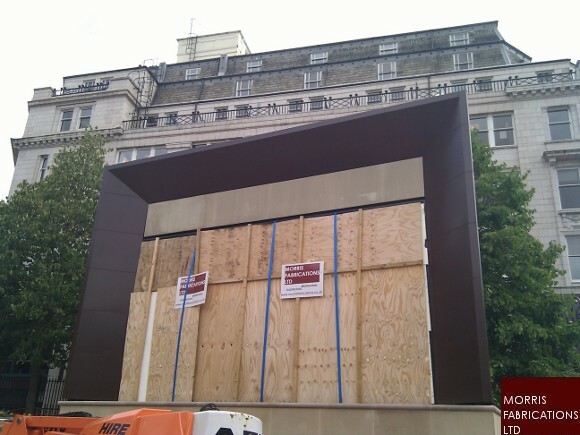 The TV was watched by thousands of locals and tourists, showing various sporting and other events. 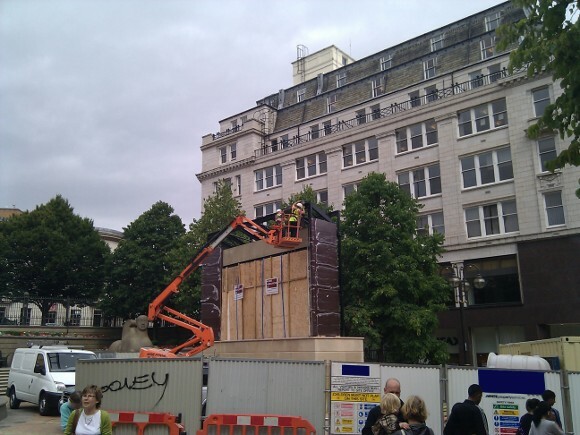 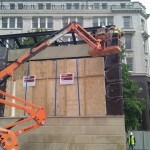 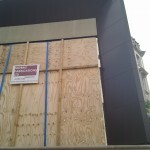 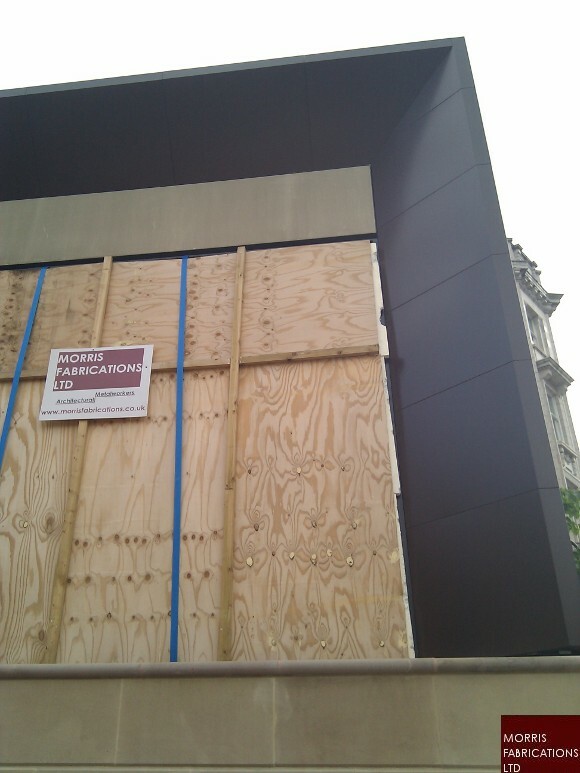 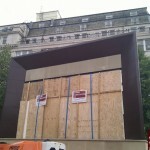 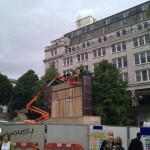 Due to an expiry in planning permission (10/12/12), the screen was decommissioned in September 2013. 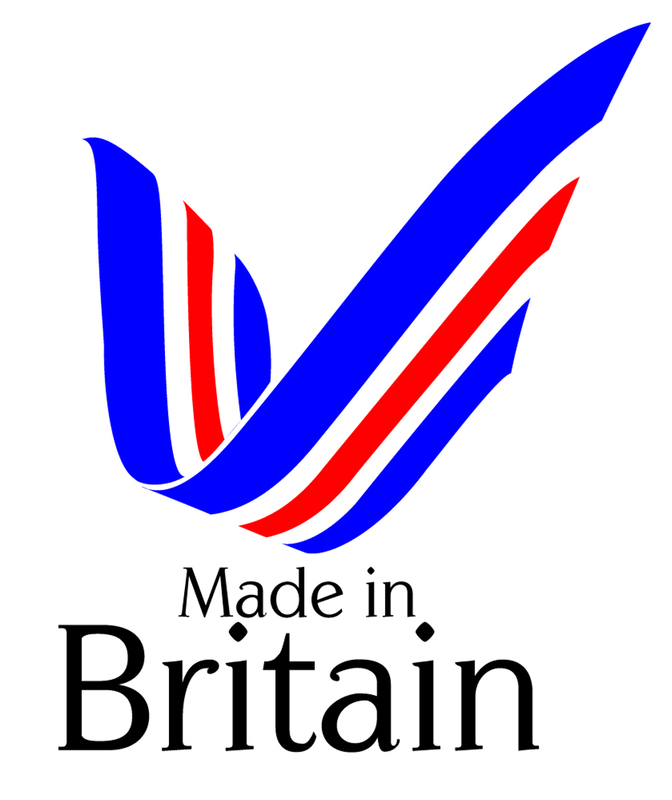 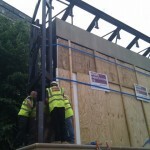 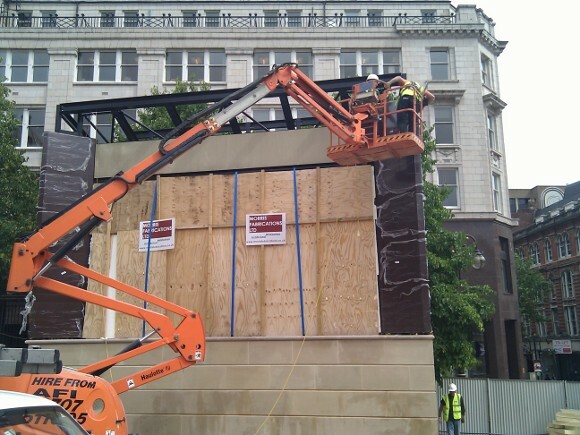 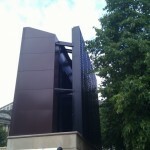 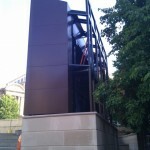 Morris Fabrications Ltd were responsible for dismantling the louvres, cladding and supporting steelwork.